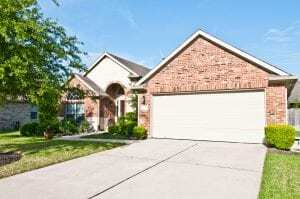 When you need a new garage door, the best company to turn to in the San Antonio area of Texas is 31-W Insulation. We are a family-owned and -operated home improvement business that has been performing installations of all kinds on homes throughout the Southeastern U.S. since 1972. Our installation crew is made up entirely of our trusted employees rather than contractors, ensuring that our customers receive the excellent workmanship and customer service that we are known for. We even hold an A+ rating with the Better Business Bureau as a testament to our dedication to total customer satisfaction. You can even customize your door with a variety of options for decorative hardware, woodgrain finishes, colors, and window panels. And, for even more customization options, you can choose the Amarr by Design door, which lets you design the perfect complement to your home and garage. To learn more about why we are the premier garage door installation company in San Antonio, TX, contact 31-W Insulation today.